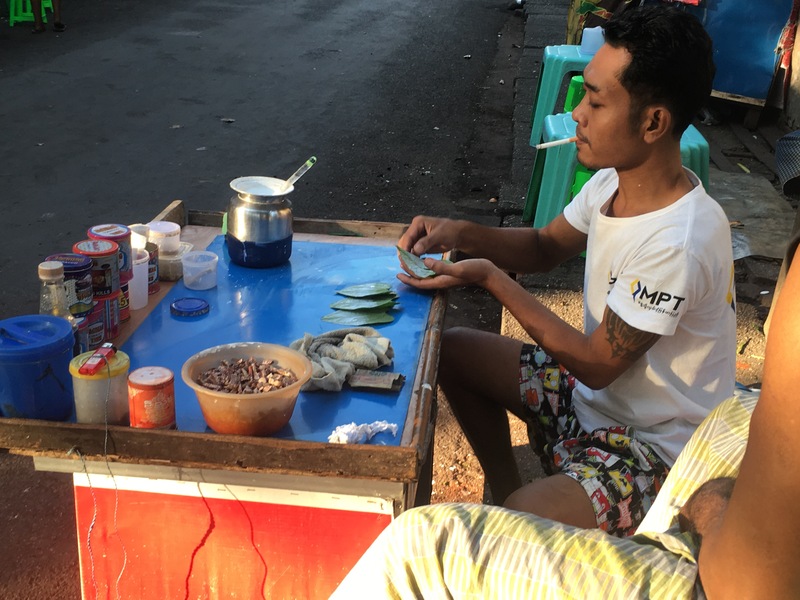 Betel nut is Burma (Myanmar)’s most common addiction. Little parcels of tobacco and Areca nuts wrapped in lime-coated betel leaves are passed around and chewed. 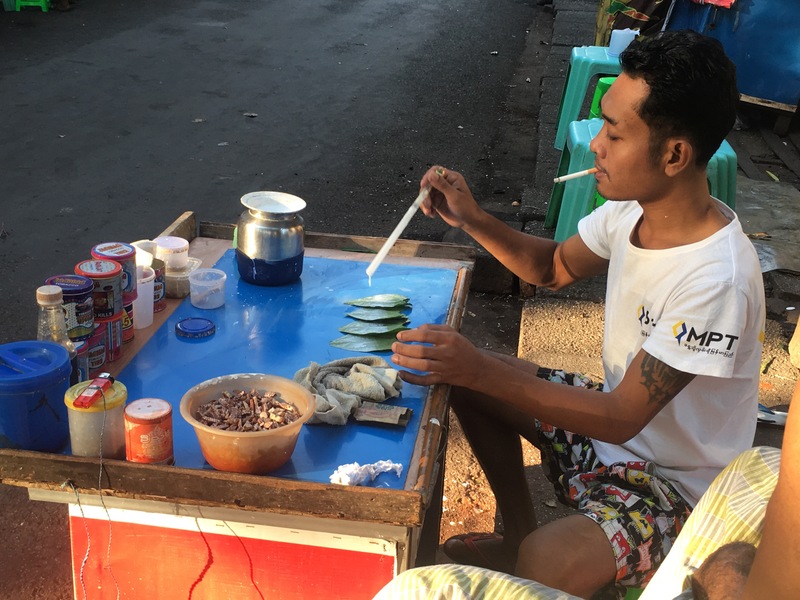 Betel is commonly chewed by cab drivers who use the drug concoction to stay awake for long hours on the road (5pm-9am is a common cab driver’s shift). The parcels are made and sold at street-side stalls like in these photos. But the strangest sight is the road-running vendors who approach cars in traffic with bottled water and plastic packets of 4 parcels for sale for a couple of hundred Kyat. Betel chewers tend to have red stained teeth, gums, and lips. They spit excess liquid onto streets, out of car doors, and into hallway corners, leaving blood-red stains all over the city.